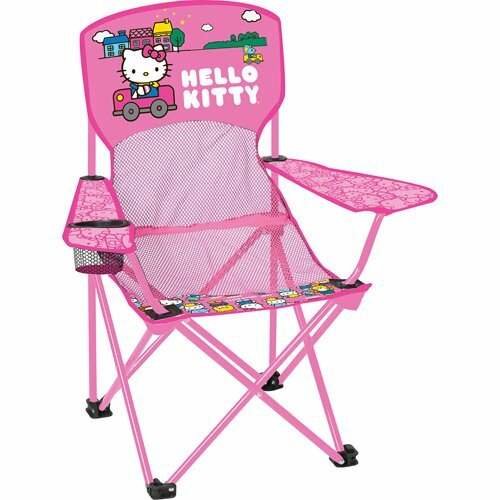 13" x 23" x 12" Hello Kitty Folding Armchair with drink holder. Easy setup and colorful prints great for ages 4 and up. The Steel Frame makes it sturdy. The Steel Frame makes it sturdy. Holds up to 100 pounds. Comes with matching color carry bag. 13" x 23" x 12" Hello Kitty Folding Armchair with drink holder. Easy setup and colorful prints great for ages 4 and up. The Steel Frame makes it sturdy. Comes with matching color carry bag.